Jobs requiring attention to detail, concern for others, and leadership are the best jobs for ESFPs. These rankings are determined by how important all three of those aspects are to a job, based on ratings from occupational experts. Jobs that require extremely low amounts of social interaction have been removed. All data displayed on this page is from the U.S. Department of Labor's Occupational Information Network and the Bureau of Labor Statistics. See our methodology. There are many jobs within the field of business that are good choices for ESFJs. Each of the jobs listed below requires a high degree of interaction with other people and strong communication and networking skills. ESFJs are uniquely suited to take on the role of CEO, for example, because of their inclination toward socializing and their compassion for others. Other jobs, such as regulatory affairs specialist and human resources specialist, allow ESFJs to utilize their attention to detail and communication skills to relay messages between company departments and employees. Chief executive officers, or CEOs, oversee companies or organizations to ensure operational activities are running smoothly. They are responsible for maintaining not only their environment but also the overall performance of their subordinate managers and employees. ESFJs love social interaction, and thus are able to develop key relationships and build partnerships as CEOs. CEOs must also pay careful attention to detail, spending their day responding to emails, preparing for presentations, and leading meetings. They work closely with employees to achieve their goals for the company. CEOs typically need a bachelor’s degree in business administration, finance, economics, or a related subject. A Master of Business Administration (MBA) and previous managerial experience is preferred. ESFJs' concern for others allows them to be particularly effective as human resources specialists because they must handle relationships and conflicts between employees and management, in addition to compensation, benefits, and training. They are also responsible for recruiting, screening, and interviewing new workers. When they aren’t hiring new employees, human resource specialists must pay close attention to detail while preparing or maintaining employment records within their companies. Sometimes, they may address employee concerns and issues such as harassment allegations or management complaints, which requires ESFJs in this role to practice their natural leadership skills. Human resources specialists need at least a bachelor’s degree in human resources, business, or another related field. The main focus of a fundraiser’s job is to gather donations to support an organization by planning events and campaigns. They also create promotional materials to increase awareness of an organization’s philanthropy. As fundraisers, ESFJs would appreciate the routine work and knowing exactly what they are supposed to accomplish for the day. Fundraisers’ daily tasks include responding to emails, planning events and recruiting volunteers, and sending e-newsletters about their work. They also send thank you notes to volunteers and donors. This may be a suitable career for an ESFJ who takes pride in networking with people while leading efforts to contribute to a good cause. Fundraisers need at least a bachelor’s degree in any field. Concentrations in business and communications may be helpful. Compliance managers are critical to smooth business operations, as it is their job to ensure their company is upholding its legal and ethical obligations. To ensure the integrity of their companies, compliance managers are relied on to make sure all departments are complying with the company's rules and regulations. This role requires an individual who is capable of comfortably leading a team, as managers oversee policy enforcements for the entire company. Compliance managers are required to have at least a bachelor's degree. Additional professional certifications, such as CAMS, CRCM or CRP, are a plus. ESFJs with a background in business are strong candidates for this position; successful candidates are not only detail-oriented and demonstrate strong leadership, but also show an overwhelming concern for their company and their coworkers. ESFJs will excel in healthcare jobs that emphasize interactions with patients due to their ability to connect with others. Each of the jobs listed below also requires a significant amount of collaboration with other healthcare professionals, a part of the job that suits ESFJs well. As oral and maxillofacial surgeons or as gynecologists, ESFJs will find themselves immersed in careers that utilize their compassion and their communication skills as they provide medical care to others. Oral and maxillofacial surgeons can diagnose and treat patients with injuries related to the head and neck, as well as oral cancer. They collaborate with other professionals, such as dentists and orthodontists, to plan treatment for a patient. They can administer anesthesia and perform surgeries such as wisdom tooth extractions and dental implants. ESFJs are very meticulous with their work and feel most satisfied when they know they have helped someone, making them promising candidates for positions as oral and maxillofacial surgeons. Four years of dental school are required prior to an oral residency program, which may take up to six years and incorporates a medical degree. A bachelor’s degree and the Dental Admission Test (DAT) are usually needed to apply to dental school. Obstetricians focus on pregnancy and birth-related duties, while gynecologists specialize in reproductive health and postmenopausal issues. OB/GYNs are a combination of both, and perform routine gynecological appointments, such as annual exams or treating infections. They complete rounds in the maternity ward, give labor-inducing medications, and perform emergency births and scheduled C-sections. This role requires a high level of attention to detail, frequent social interaction, and confident leadership skills. ESFJs would thrive in the medical setting, knowing they’re helping others. OB/GYNs must have an undergraduate degree, pass the Medical College Admission Test (MCAT), complete four years of medical school, and complete a residency, which may take up to seven years. After residency, they must obtain a state license. A neurologist is a physician who specializes in the nervous system. They can diagnose, treat, and offer ways to manage health issues related to the brain, spinal cord, and other components of the nervous system. A neurologist gathers information by meeting with patients. After hearing the patient’s concerns, the neurologist may order other tests before making an official diagnosis. An ESFJ in this role will love being able to meet new people and make decisions based on their own judgment while expressing their innate concern for others. Neurologists must have a bachelor’s degree, pass the Medical College Admissions Test (MCAT), and complete four years of medical school. Additionally, they need to go through a year-long internship and a three-year neurology residency program. Surgeons are doctors who perform various types of medical procedures. They work in high stress environments and under time constraints in the operating room while managing other doctors and medical professionals. They also spend a lot of time preparing for surgical procedures, reviewing patient files and understanding their patients’ concerns. Surgeons start their day making rounds to check on patients in the hospital and discuss their progress. They perform scheduled surgeries and emergency procedures and meet with new patients to schedule other procedures. As a surgeon, an ESFJ will put their strong time management skills and leadership skills to use while enjoying the satisfaction of knowing they have helped someone in need. Surgeons need a bachelor’s degree, four years of medical school, and up to eight years of surgical residency. The education and human services sector is an excellent field for ESFJs. Education administration, in particular, stands out as a job that caters to the strengths of people with the ESFJ personality type. As a principal, ESFJs will be frequently interacting with other people, whether they are other school employees, parents, students, or school district officials. The role of a principal, like that of a school psychologist, a director of religious activities, and a school counselor, requires strong communication skills and an ability to comfortably interact with a variety of people. Education administrators, also known as principals, work in elementary and secondary schools. They hire teachers and oversee the day-to-day activities of their respective schools. They are in charge of balancing school budgets, maintaining monthly and yearly academic calendars, and creating school policies. ESFJs in this role care about the academic success of their students. They take time to walk around the school to interact with teachers and students. They also lead discussions of policies and instructional strategies with other school administrators. Education administrators are expected to have a bachelor’s degree and a master’s degree in education leadership or education administration. They also need teaching experience. School psychologists advise students and teachers to help them succeed in their academic and professional duties. They offer solutions for mental health issues, unhealthy behavioral habits, and learning deficiencies to help youth succeed academically and socially. School psychologists collect data by administering psychological tests and then discuss the test results with teachers and parents. ESFJs in this role would use their concern for others to help make a difference in a child’s life and lead other people in the child's life to do so as well. A bachelor’s degree and a master’s degree in school psychology are necessary for a career as a school psychologist. After completing a graduate program, one must attain the Nationally Certified School Psychologist (NCSP) certificate and become licensed. Directors of religious activities and education partner with churches and other religious organizations to educate and promote awareness about the religious values and activities of a particular denominational group. In addition to administrative tasks, religious education directors collaborate with other ministry members to develop religious education programs and encourage support of their programs. They analyze member participation and counsel individuals with marital, financial, or religious problems. ESFJs could work well in this career, as it would allow them to make decisions and lead other people while providing service to others. Religious education directors have a minimum of a bachelor’s degree in religious education or a related field. A master’s degree in theology is recommended. Counselors provide guidance for individuals and groups based on their needs. They offer suggestions for completing graduation requirements and job and internship applications. They also help students prepare for college admissions tests and improve essays, applications, resumes, and cover letters, and help them explore potential career paths. ESFJs have a lot of empathy and can sense someone’s full potential, which would make them great counselors in any field. 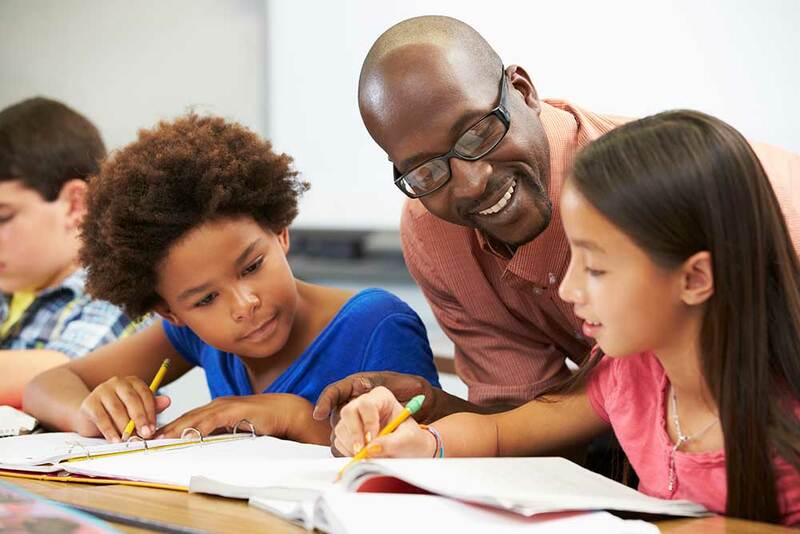 A successful counselor will have at least a bachelor’s degree in psychology, education, social work, or a related field, and a master’s degree in counseling, depending on the individual’s chosen field. School counselors must also obtain state licensure. Jobs in the field of law and criminal justice require strong leadership and people skills, making people with the ESFJ personality type well-suited for this line of work. Each of the four jobs listed below will allow ESFJs to work with a variety of people while employing their strong decision making skills and other fortes. Working as a judge, for example, requires attention to detail in addition to leadership and adept communication. Working as a police officer or a firefighter involves teamwork, collaboration, and compassion. Judges, magistrate judges, and magistrates deliver judgment based on their understanding of government statutes. In criminal cases, they determine the sentence of a defendant, and they may determine the defendant’s liability in civil cases. Judges may also perform wedding ceremonies. Judges are responsible for researching issues brought before the court. They preside over scheduled hearings and trials and then draft orders. Because ESFJs are careful listeners and make decisions based on their best judgment, they would excel in a career as a judge or magistrate. Their strong sense of duty to uphold the law may make their field especially rewarding. Judges hold at least a bachelor’s degree and related work experience. A Juris Doctor (J.D.) degree is recommended. A J.D. program is typically four years of law school after successfully passing the Law School Admission Test (LSAT). Police patrol officers enforce tribal, state, or federal laws to maintain order in society and protect lives and property. They patrol a specific area, direct traffic when needed, investigate accidents, are called to action during criminal activity, and may also serve in the legal processes of courts. Police patrol officers respond to calls of disturbances, accidents, complaints, and emergencies. They patrol their assigned district or area and check for law violations. They write citations, make arrests, and watch for any suspicious activity. ESFJs in this field would be able to exercise their analytical and decision-making skills, and would be satisfied knowing they are serving the public. Potential police patrol officers must have at least a high school diploma or GED and complete a law enforcement academy. After passing the academy’s Physical Ability Test (PAT), you may be required to go through additional field training. Municipal firefighters extinguish fires or immediately respond to situations in which life, property, or the environment is at risk. They also help in the areas of search and rescue, disaster relief, and emergency medical response. Firefighters’ daily duties include routine truck checks and maintenance and completing chores at the fire station, such as cleaning or landscaping. They respond to calls including fires, vehicle accidents, and medical emergencies. ESFJs have an innate ability to care for others, follow clear guidelines, and work as both a team member and a leader, which would make them successful firefighters. Firefighters have at least a high school diploma or GED and advanced education in fire science or a related field. Larger fire departments may require a paramedic license. Coroners are responsible for determining the cause and mode of deaths within a specific jurisdiction, as required by law. They are elected or appointed to their position and investigate the circumstances surrounding a death. A coroner’s primary duties include directing all crime scene and forensic professionals at a crime scene, interviewing witnesses, reviewing death reports from doctors and law enforcement personnel, and ordering autopsies. ESFJs who like leading others and enjoy the satisfaction that comes with accomplishing a long-term goal could appreciate a career as a coroner. Although there are no set education requirements to become a coroner, a college degree in health sciences or law is recommended. Additionally, they may be required to become certified death investigators through board certification programs. ESFJs may naturally gravitate toward management positions due to their leadership abilities and organization skills, which stem from their attention to detail. The three jobs on this list give ESFJs the opportunity to guide others and make sure they are being effective. They also all only require high school diplomas, making them accessible job options for many ESFJs. Lodging managers are responsible for making sure that guests at hotels, inns, or other establishments feel welcomed. They also ensure that the hotel is well-maintained, provides exceptional accommodations, and profits as a functioning business. When they are not at meetings or making phone calls, managers interact with guests and employees. ESFJs would be successful lodging managers because they would enjoy a leadership role dedicated to providing excellent service and making sure guests are happy. Lodging managers have at least a high school diploma or GED and experience working at a hotel or related establishment. An associate degree or bachelor’s degree in hospitality or hotel management is preferred. First-line supervisors of personal service workers oversee and coordinate activities of the other workers. They directly supervise workers and make sure their business is running smoothly. Personal service workers work in travel, hospitality, beauty and grooming, catering, etc. They can work as flight attendants, hairdressers, or waiters, for example. Supervisors assign work schedules, observe workers’ performance, and provide training for new hires. They oversee all workers to ensure quality service. ESFJs would succeed in this career because they like to lead, can listen to others and provide feedback, and use rules and policies to solve problems. Supervisors need at least a high school diploma or GED and an apprenticeship or several years of on-the-job or informal training. Recreation workers create and lead group activities for summer camps, community centers, care facilities, and in other settings to help people stay active while having fun. Some activities include making art and crafts, putting on plays and musical performances, and playing sports. Recreation workers can also organize and lead recreational activities. They explain safety procedures and may administer first aid. They manage the daily operations of a recreational facility and resolve complaints by participants. ESFJs in this role would be satisfied leading activities and making sure people are safe while they have fun. Education requirements vary depending on the type of job, but recreation workers typically need at least a high school diploma or equivalent and on-the-job training. "Human Resources Specialists.” Bureau of Labor Statistics, January 2018. www.bls.gov/ooh/business-and-financial/human-resources-specialists.htm. Accessed 16 Feb. 2018. “Fundraisers.” Bureau of Labor Statistics, January 2018. https://www.bls.gov/ooh/business-and-financial/fundraisers.htm. Accessed 16 Feb. 2018. Source: “Fundraiser overview.” U.S. News Money, 2016. www.money.usnews.com/careers/best-jobs/fundraiser. Accessed 16 Feb. 2018. “Regulatory Affairs Specialist.” Chegg Internships. www.careermatch.com/job-prep/career-insights/profiles/regulatory-affairs-specialist/. Accessed 16 Feb. 2018. Lahleh Bigash. “A Day in the Life of a Regulatory Affairs Specialist.” LinkedIn, August 2015 www.linkedin.com/pulse/day-life-regulatory-affairs-specialist-laleh-bighash/. Accessed 16 Feb. 2018. Source: “Oral and Maxillofacial Surgeon overview.” U.S. News Money, 2016. www.money.usnews.com/careers/best-jobs/oral-and-maxillofacial-surgeon. Accessed 16 Feb. 2018. Source: “Oral and Maxillofacial Surgery.” American Student Dental Association. www.asdanet.org/utility-navigation/career-compass-home/grad-career-options/Life-of-a-Dentist/Oral-and-Maxillofacial-Surgery. Accessed 16 Feb. 2018. Veritas Prep. “Follow a Day in the Life of an OB-GYN.” U.S. News Education, 2012. www.usnews.com/education/blogs/medical-school-admissions-doctor/2012/05/29/follow-a-day-in-the-life-of-an-ob-gyn. Accessed 16 Feb. 2018. “Neurologist.” Healthline. www.healthline.com/health/neurologist. Accessed 16 Feb. 2018. “A day in the life of a neurologist: Dr. Charles Flippen.” UCLA David Geffen School of Medicine, November 2016. www.medschool.ucla.edu/body.cfm?id=1158&action=detail&ref=825. Accessed 16 Feb. 2018. “A Day in the Life of a Surgeon.” SCL Health, Lutheran Medical Center, September 2014. www.lutheranjournal.org/stories/2015/4/14/a-day-in-the-life-of-a-surgeon. Accessed 16 Feb. 2018. “A Day in the Life of a Principal.” Homeroom, U.S. Department of Education. www.blog.ed.gov/2017/10/a-day-in-the-life-of-a-principal/. Accessed 16 Feb. 2018. “About School Psychologists.” National Association of School Psychologists. www.nasponline.org/about-school-psychology. Accessed 16 Feb. 2018. Sen Man Pak. “Life as a High School Counselor.” The Harvard Crimson, Feb 2014. www.thecrimson.com/admissions/article/2014/2/27/high-school-counselors/. Accessed 17 Feb. 2018. Cayden Conor. “How Does a Judge Spend a Workday?” Career Trend, 2017. www.careertrend.com/how-does-4579018-judge-spend-workday.html. Accessed 17 Feb. 2018. “Occupational Employment and Wages, May 2016 23-1023 Judges, Magistrate Judges, and Magistrates.” Bureau of Labor Statistics, March 2017. www.bls.gov/oes/current/oes231023.htm. Accessed 17 Feb. 2018. Source: “Police Officer Duties.” San Jose Police Department. www.sjpd.org/JoinSJPDBlue/PoliceOfficerDuties.html. Accessed 17 Feb. 2018. “Police Officer/Manager.” The Princeton Review. www.princetonreview.com/careers/120/police-officer-manager. Accessed 17 Feb. 2018. “Occupational Employment and Wages, May 2016 33-2011 Firefighters.” Bureau of Labor Statistics, March 2017. www.bls.gov/oes/current/oes332011.htm. Accessed 17 Feb. 2018. “Coroner.” CrimeSceneInvestigatorEDU. www.crimesceneinvestigatoredu.org/coroner/. Accessed 17 Feb. 2018. Yvan Bailbled. “A day in the Life of a Hotel Manager.” LinkedIn, May 2015. www.linkedin.com/pulse/day-life-hotel-manager-yvan-bailbled/. Accessed 18 Feb. 2018. “Airline Pilots, Copilots, and Flight Engineers.” Bureau of Labor Statistics, March 2017. www.bls.gov/oes/current/oes532011.htm. Accessed 18 Feb. 2018.